The St. Louis Cardinals system went 3-3 on Wednesday. 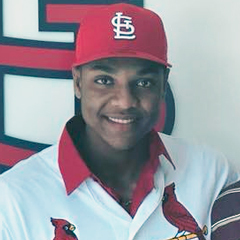 Both Dominican Summer League squads claimed wins behind strong starting pitching by first-year professionals – Player of the Day Julio Puello (Blue) and Ludwin Jimenez (Red). Recaps from games played on Wednesday, June 27. With nine runs in the final four innings, including two in the bottom of the ninth, the Sky Sox came from behind to beat the Redbirds by a 9-8 score. Redbirds starter Chris Ellis allowed four earned runs in his 5 1/3 innings, all in the fifth. Edward Mujica suffered his second blown save, as he surrendered three runs while pitching through the seventh inning. Hector Mendoza tossed a scoreless eighth before it all unraveled in the ninth. The leadoff batter reached on an error and scored the game-tying run on a triple. Two intentional walks by Mendoza loaded the bases and ended his night. Tommy Layne – facing his first opponent of the game – balked, forcing in the game-winning run. Mendoza took the loss and dropped to 1-2. Although they came up short, the Redbirds’ offensive efforts should not be discounted. Third baseman Patrick Wisdom went 3-for-5 with a home run and two RBI. Right fielder Tyler O’Neill and first baseman Luke Voit each hit a solo home run, and Wisdom, O’Neill, and shortstop Wilfedo Tovar scored two runs apiece. Memphis stranded eight runners on base. Thursday’s game: Dakota Hudson (10-2, 2.04) at Colorado Springs Sky Sox, 7:40 PM Central time. The Cardinals were off Wednesday, the final day of the All-Star break. The Double-A Cards will be back in action in Frisco, Texas, against the RoughRiders on Thursday at 7:05 PM Central time. Connor Jones (4-2, 4.22) will make the start. At Roger Dean, the Cardinals got off to a good start, with a run in the bottom of the first inning. That proved to be their only score, as Palm Beach dropped the pitching-rich affair by a 2-1 score to the Marauders. 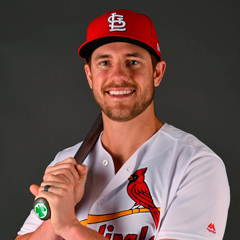 Cardinals second baseman Andy Young went 3-for-4 and drove in the team’s first-inning tally, scored by left fielder Dylan Carlson. Catcher Jose Godoy hit his fifth double of the season to account for the club’s only extra-base hit. Palm Beach could not get the clutch hit, going 0-for-12 with runners in scoring position and leaving 10 on base. It is a shame that starter Sam Tewes had to wear the loss. Tewes, who dropped to 1-2, logged seven innings with two runs (one earned) allowed on five hits and four strikeouts. Pitching in relief, Eric Carter turned in two perfect frames. 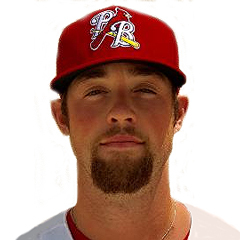 Thursday’s game: Jake Walsh (2-1, 2.32) vs. Bradenton Marauders, 11:00 AM Central time. In a rough and tumble battle, the Chiefs squeezed out a 3-2 victory over the Cougars on Wednesday to salvage the final game of the three-game home series after two frustrating, lop-sided defeats. After Peoria’s Irving Lopez was twice hit by pitches in the head area, Johan Oviedo went inside on a Cougars batter in the fifth. Despite no earlier action taken against the Kane County pitcher, the home plate umpire ejected Oviedo, and soon manager Chris Swauger joined him. Oviedo allowed one run across four innings, during which he walked five batters and struck out as many. Levi MaVorhis earned the win, his third of the year, with two scoreless innings in relief. Bryan Dobzanski picked up a hold with two shutout frames to set up the ninth. Fabian Blanco recorded the final three outs to lock down his fifth save. The ninth was tense, however, as errors by Elehuris Montero and Matt Fiedler along with a single put one unearned run in and the potential tying run on third base with one out. The game ended with an infield ground out and a Blanco strikeout. Third baseman Montero went 3-for-4 with a run batted in, and first baseman Yariel Gonzalez had a sacrifice fly, despite his 0-for-3 line. Left fielder Bryce Denton hit his fourth home run of the season, representing the go-ahead run in the sixth. Thursday’s game: Alex Fagalde (2-2, 2.18) at Beloit Snappers, 7:00 PM Central time. The Spikes were off Wednesday and will pick back up Thursday on the road, in Williamsport, Pennsylvania. Angel Rondon (0-1, 3.00) will take the mound against the Crosscutters at 6:05 PM Central time. State College is off to a disappointing 3-9 start and sit in last place, 6.5 games behind first-place Mahoning Valley. The Cardinals were off Wednesday. They will travel to Kingsport, Tennessee, for a three-game series with the Mets that will start on Thursday at 5:30 PM Central time. The Cardinals have not announced their starter. At 3-4, Johnson City is tied for last place in the division, 3.5 games behind division-leading Kingsport, making this upcoming series especially important. From the fifth inning on, the Cardinals scored five unanswered runs. However, they were not enough to fully close the gap following the eight runs the Mets had scored earlier, and the Cardinals lost by an 8-5 score. Left fielder Terry Fuller scored twice, including once on a solo home run, and designated hitter Brandon Benson smacked a two-run homer. First baseman Andrew Warner was 3-for-4 with a double and a run batted in. The Cardinals combined to go 2-for-8 with runners in scoring position, stranding 10 runners on base. 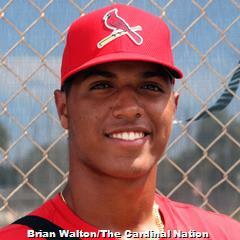 Cardinals starter Wilfredo Pereira took his first loss of the GCL season. In his 4 1/3 frames, Pereira allowed eight runs (seven earned) on 11 hits. Following Pereira’s departure, Connor Coward, Francisco Justo, and Chris Hunt combined for 4 2/3 scoreless innings to finish out the game. Next game: at GCL Astros, 11:00 AM Central time on Friday. The Nationals scored their two runs late, but they were not enough as the Cardinals Blue took a 5-2 win. 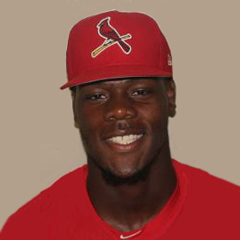 Cardinals left fielder Jean Selmo and right fielder Diowill Burgos each tripled and batted in one run. Selmo scored twice. Catcher Jose Zapata was 2-for-4 with a two-bagger, and designated hitter Freddy De Jesus had one RBI. The Cardinals stranded 10 runners on base, but they did outscore the Nationals – and that’s all that really matters. Pitcher Julio Puello is our Player of the Day. In his fifth professional appearance and third start, the 19-year old right-hander twirled 7 2/3 innings with two runs allowed. Puello fanned six batters as he earned his second win and lowered his earned run average to 1.25. Miguel Yedis recorded the final out of the eighth before Anthony Trompiz secured his first save with a clean ninth inning. Thursday’s game: at DSL Mets 1 at 9:30 AM Central time. With two runs in each of the sixth, seventh, and eighth innings, the Cardinals Red enjoyed an 8-4 win over the Diamondbacks 2. Cardinals second baseman Elvin De Jesus was 2-for-3 with two runs batted in, and first baseman Claudio Ramirez tripled and scored twice. In total, the Cardinals were 3-for-11 with runners in scoring position and were aided by three Diamondbacks errors. Starting pitcher Ludwin Jimenez turned in a quality outing, with six innings of two-run ball; only one run was earned. The 16-year old right-hander received his first professional win in his second career decision. Prada was not scored upon in his two frames, and Gabriel Contreras recorded the final three outs – despite allowing a pair of runs. Thursday’s game: vs. DSL Tigers 1 at 9:30 AM Central time.